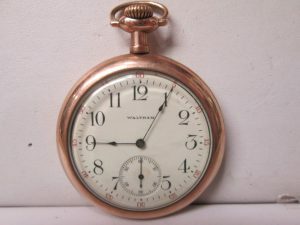 Do you own an old watch? Is it one of the instantly top watch brands like Rolex? If your answer is yes to these two questions, you could be sitting on serious money. Pre-owned watches are some of the most sought after items in the collectibles industry. Rare old luxury watches can fetch as much as $100,000. Top pre-owned luxury watches are always in great demand. A dealer in these watches report that is has become harder to get a pre-owned luxury watch than to sell it. People who own these watches have strong attachment to them, and would rather buy a new watch and keep the old as a memento. Top brands that are in high demand include Rolex, Cartier, Breitling, and Omega. These are luxury brands that are recognized the world over. You will typically get an offer starting at $5,000 for most luxury watch brands. Luxury watches hold their value well. A 30 year old Rolex will cost nearly the same as a new one. If it was a limited edition, the cost could even go higher. A well cared for watch that has documents to prove of the buy, is fast money. Vintage watches are an investment perhaps even better than keeping money in the bank. Rare watch prices rise every year making them very optimal investments. The watch collection industry is quite healthy with top collectors having millions of dollars’ worth in watches. While watch wearers are a dwindling lot, the appetite for pre-owned watches is growing largely driven by the collectors. How much is the watch worth? That would be your first concern. The value of a pre-owned watch largely depends on the make, age and the rarity of that edition. The best way to answer this question would be to bring your watch to us so we can give you a proper assessment.